During high school and university examination season, you will see all kinds of industries advertising their products to "support" the students taking exams. And by support, all they mean is that they will change their product packaging/name for good luck, just like how katsudon has the word katsu (win). 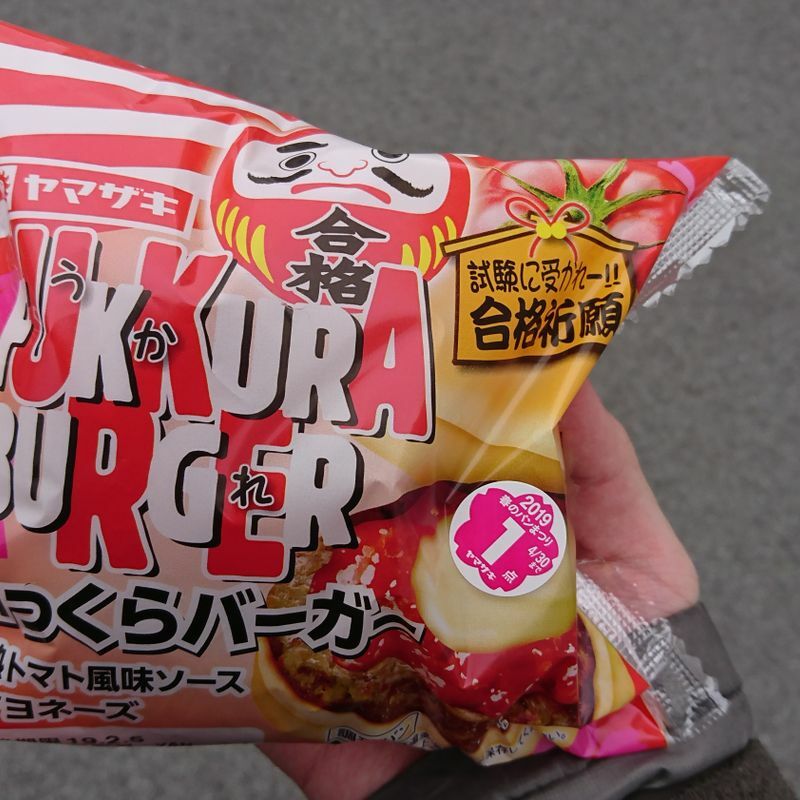 The latest is the 100yen fukkura burger you can get from any supermarket. Inside is a patty, mayonnaise and tomato sauce that tastes like ketchup. 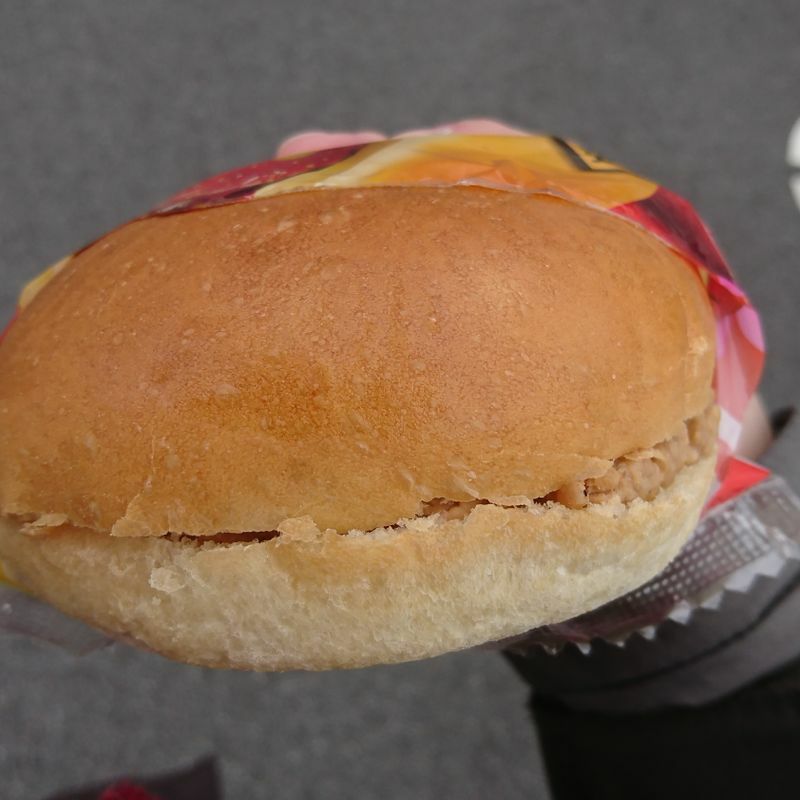 The buns are quite decent though, so I sometimes go for it for a cheap snack. The packaging was changed just so that U, K, A, R, E would pop out, meaning "get accepted". It is kinda forced, if you ask me, but if it is a burger that many students eat often, I guess having the message like that is kinda nice.